Seeking environmental-friendly alternatives for your Youngstown OH commercial building? When it comes to sustainable roofing solutions, green roofing is one of the most popular options. 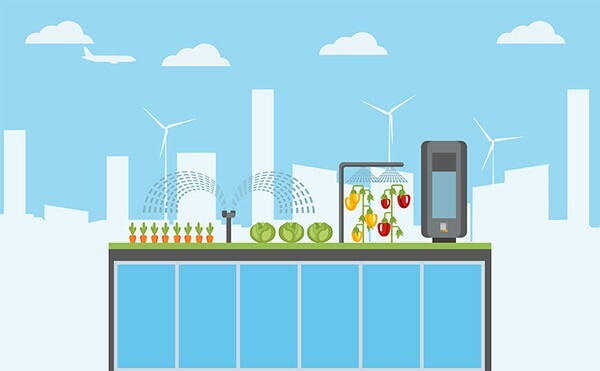 Even if it’s already part of the mainstream industry, not everyone prioritizes having one for their property because of some green roof advantages and disadvantages. As with any commercial roofing system, there are benefits and drawbacks (same thing with green roofs) that you need to understand. Learning about these things early on gives you the chance to assess if this particular type of roofing is something that’s aligned with your long-term goals. In today’s blog entry, let’s talk about green roof advantages and disadvantages in order to give you a broader perspective of what this is all about. This is a crucial topic because as we all know, roofing is a huge investment, especially if this is part of your growing business. How Do You Construct a Green Roof? We’re so used to seeing black, gray, and white rooftops. This is a common sight among urban areas. However, more and more property owners are deviating from the usual options by building what we call a green roof. It has become an attractive choice because it’s not only refreshing to look at but it’s also highly beneficial for the environment. Green roofs are made up of vegetation and growing plants that cover the surface. They act as an extension of the base roofing aside from just the usual waterproofing membranes. In layman’s term, these are gardens that sit on top of your commercial building. Like the usual garden, there are important measures to implement to maintain the upkeep of your plants. Green roofs are differentiated by their components and landscaping. As a property owner, you can choose what type of a green roof system to build depending on the structural capabilities of your building. Green roofing can be classified into three types: Intensive, Extensive, and Semi-Intensive. Scroll down below to know what their differences are. It’s called intensive because of the types of plants and vegetation used. Usually, these would include shrubs, trees, and different kinds of grasses, complete with the soil at the base. Because of the added weight, there’s a need for enough structural support. Otherwise, it could lead to roofing problems (that you could avoid). This type of green roof also requires a deeper substrate to sustain the plants’ growth. Since this is a full-blown garden on top of a building, a carefully designed maintenance program is needed to ensure that the plants receive proper care and to also avoid potential issues like leaks and other structural-related damages. Extensive green roofing is more on the aesthetic side (but not less of a sustainable roofing solution). It usually has succulents, mosses, grasses, herbs, and other types of plants for landscaping. These are more low maintenance plants as compared to what you’ll find in an intensive green roofing. Extensive green roofs offer an attractive and colorful space that also need your prompt attention in order to survive. As you may have noticed above, green roofs are made up of various plants and vegetation. Thus, they need a special care like a regular garden would do. While you may think that it’s just an extra work for you, there are corresponding advantages that you wouldn’t want to miss out on. Here are the top advantages of having a green roof for your property. This condition is common among urban areas especially with sky-high buildings that are adjacent to one another. They could easily trap and absorb heat due to the absence of plants and trees. The construction materials also contribute to what we call the Urban Heat Island Effect. When this happens, the temperature rises which could prompt tenants and building owners to increase the usage of cooling appliances. Green roofing can help reduce the Urban Heat Island Effect as it absorbs heat from the sun as well as the carbon dioxide from the air. Choosing a green roof over other more traditional systems can help clear and improve the air quality. As a result, it aids in the reduction of the Urban Heat Island Effect that most urban dwellers experience. 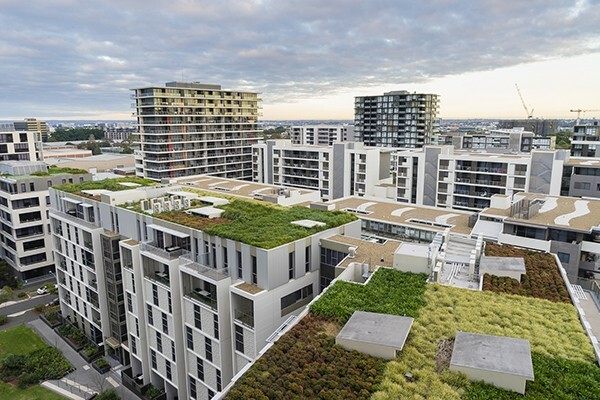 In connection to the previous point, having a green roof in your building can help lower utility costs. It promotes natural insulation which helps cool down the surface. It doesn’t trap the heat as well like an ordinary roofing would do. In return, it can leave you with more savings in the long run as you cut down on the usage of air conditioning units even during hotter months of the year. Green roofs have excellent water absorption properties. Instead of releasing all the rainwater down to the drainage system, it can retain a large amount of water. As a result, it can help reduce the risk of flooding, especially in low-lying urban areas. In a busy city like Youngstown OH, there’s a way to cut down on too much noise pollution. The thick layer of soil can block external noise. In the same way, it can also prevent sound from escaping the interior of your building which is ideal in urban areas to avoid inconveniences. All roofing installation projects require a huge amount of money both with the materials and labor. Green roofing isn’t exempted to this because it can cost anywhere between $15-$20 per square foot. If you are convinced that this is the right roofing for your property, there’s a need to prepare for it financially. Obviously, with green roofing, there are special requirements to consider particularly with the upkeep of the plants and vegetation, as well as the multiple layers of soil and the irrigation system. It’s not a green roofing without these things so you have to make sure that their growth and needs are sustained. To make green roofing a success despite the difficulties in its maintenance, you need to partner with a reliable roofing company. They can craft a personalized maintenance plan for your green roofing in order to attend to all the demands and to also detect impending issues. Now that you already have an idea as to what the known green roof problems are, you’ll also know (more or less) if this is something that you can manage for a long period of time. Remember that at the end of the day, the advantages should outweigh the disadvantages. If not, then it’s not going to be worth it. 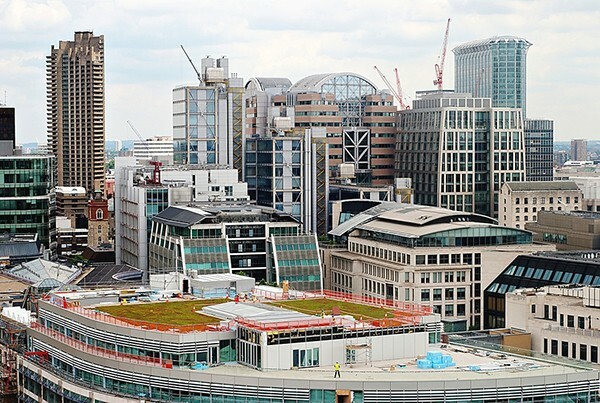 Furthermore, being a proactive and prepared property owner gives you an edge when it comes to challenges of green roofs. Being two steps ahead is the secret to a well-maintained, beautiful, and effective green roofing. Curious if there are more advantages and disadvantages of green roofs? If you have more clarifications, the J&M Roofing LLC team can assist you further. Contact our commercial roofing experts and receive a free estimate: 877-480-8860.